I captured a couple quick videos, at 4k using the Pro-Phantom. I copied them directly off the SD chip, to my hard drive. Fired up Pinnacle Studio 18, and all I get is a GREEN image after the import. And they won't play. Anyone know what codec they are using to capture the 4k? So I can work on a fix, so I can edit the video in Studio 18. 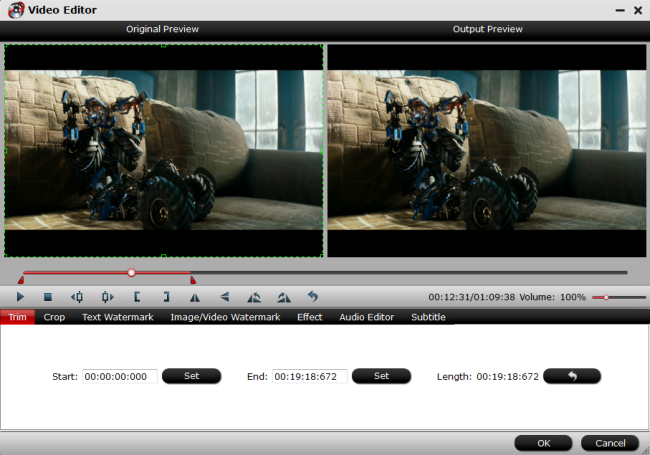 The Pinnacle Studio 18 version released in October 2014 has included native 4K video support. 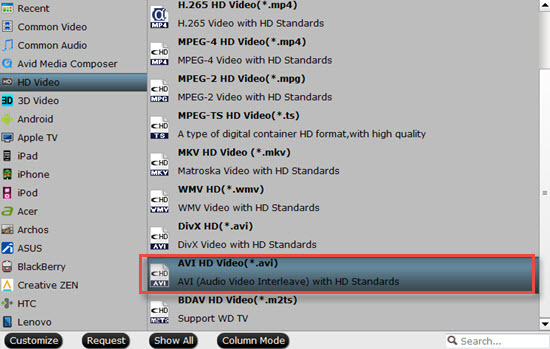 However, the supported 4K video by Pinnacle Studio 18 are only limited to 4K AVI, 4K MP4, 4K XAVC S, 4K WMV, 4K MOV, therefore, if the 4K video are encoded with incompatible codec, you will fail to load them into Pinnalce Studio. In addition, if you are using a old version of Pinnacle Studio to handle 4K video, the 4K video will be automatically downscaled to 1080p. Sometimes, even if you can import a 4K video to Pinnacle Studio 18 or later version, you may still find the video skips and jumps in the timeline when you perform the post editing workflow on a low computer. No need to worry, the following article will show you how to fix those issues one by one. For people who are still using a Pinnacle Studio 17/16/15 or other early released versions who do not support 4K resolutio video footage, the best way for you is compressing 4K to 1080p or 720p, which will ensure a smooth editing workflow on all old Pinnacle Studio versions. If you happen to own a old computer with week CPU power, then even if you are using the most recently Pinnalce Studio to edit its unsupported 4K video, you may still suffer video playback choppy or laggy issues since 4K video editing process is very processive entensive. To fix this issue, you can either use the multi-camera editor offered by Pinnacle Studio to create a proxy files with a lower resolution. If you have no budget burden, you will definitely switch to a more powerful computer that meet the minimum standards to edit 4K video. However, what really annoys you is the incompatible editing codec used by the 4K video footage. 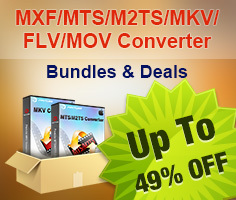 Fortunately, there are many excellent 4K video converter program out there can help you fix this head-scratching issue. 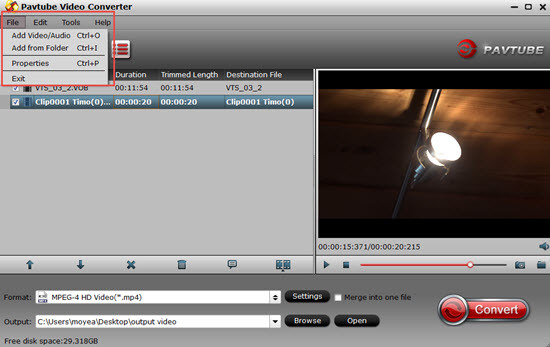 There is a simple to use and workable solution in hand called Pavtube Video Converter for Windows (get Mac version), the program can powefully convert all 4K video including 4K AVI/MP4/MOV/MKV/H.264/H.265/Prores/VP9, etc into Pinnacle 18 or later version readable 4K editing formats with perfect output quality and super fast conversion speed. 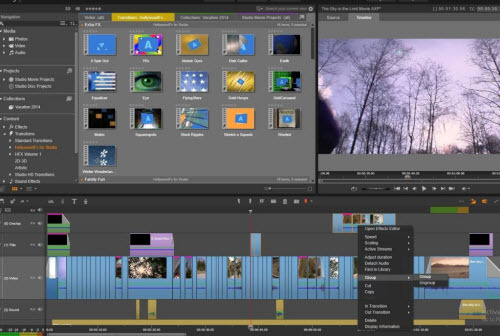 Before loading 4K video into Pinnacle Studio, you can do some simple video editing with the program's built-in video editing functions. You can trim or cut off video to remove unwanted parts or segments, split large video into small clips by file size, count or length, merge separate video into one, Crop video to remove unwanted black edges or unwanted area. How to Convert and Compress 4K Video for Pinnacle Studio Post Editing? If you are using an old version Pinnacle Studio or old computer, you can use the program to compress 4K video to 1080p by outputting one of Pinnacle Studio supported HD editing format such as "HD Video" > "AVI HD Video(*.avi)". 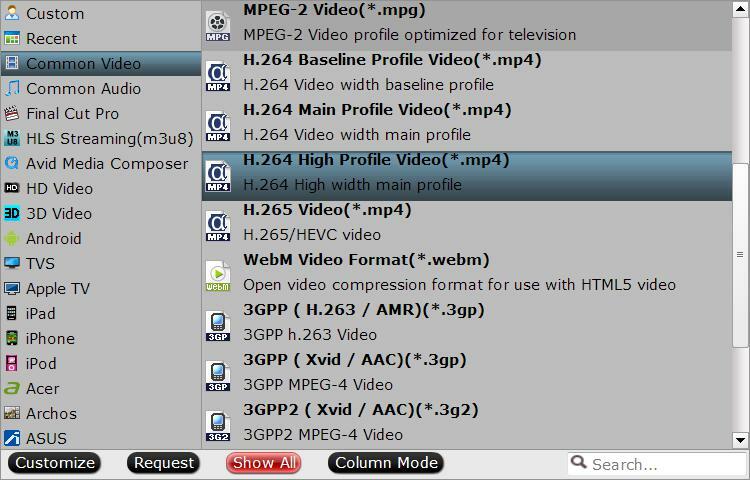 If you are loading one of Pinnacle Studio 18 or later version unsupported 4K video to edit on a powerful computer, just output one of Pinnacle Studio compatible 4K format such as "H.264 High Profile Video(*.mp4)" under "Common Video" main category. Step 3: Edit 4K video(optional). After all settings are done, click right-bottom "Convert" button to begin to convert and compress 4K video to Pinnacle Studio compatible editing codec or resolution. When the conversion is completed, you will have no problem to import 4K video to Pinnacle Studio for smooth post video editing workflow.